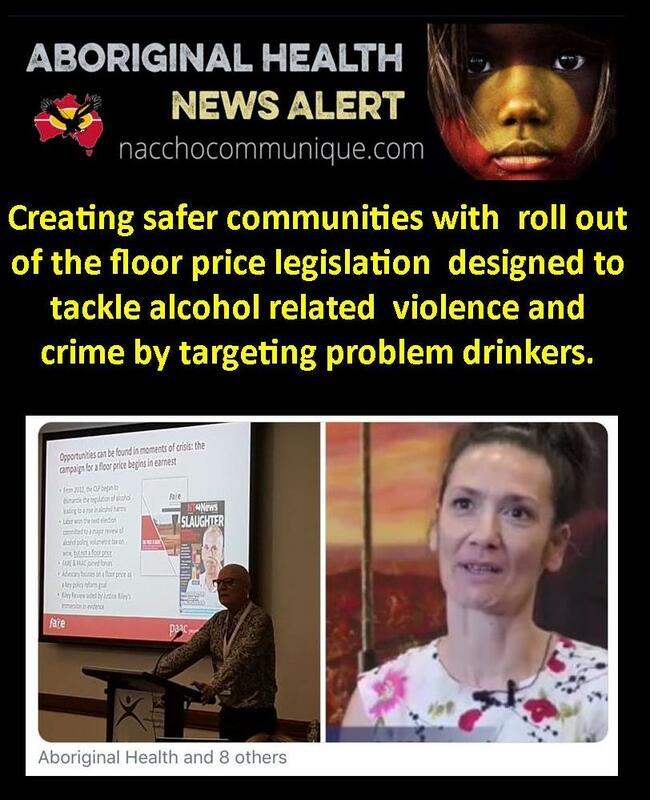 The Territory Labor Government is creating safer communities with the commencement of the floor price legislation from Monday 1st October, designed to tackle alcohol related violence and crime by targeting problem drinkers. Territorians drink more than anyone else in Australia per capita, and are even amongst the highest in the world. Data from 2009 shows that alcohol related violence and crime is costing Territorians upwards of $640 million a year. That’s about $4,197 per adult, compared to $943 nationally. 40% of all Territory road fatalities involve an illegal blood alcohol concentration. The floor price is just one of the 219 recommendations from the Riley Review, designed to tackle alcohol related violence and crime stemming from alcohol abuse. There is simply too much alcohol fuelled crime, anti-social behaviour and social dysfunction in the Northern Territory. Floor price legislation targets cheap bulk alcohol favoured by at-risk drinkers, without punishing those of us who enjoy a drink responsibly. This means that a standard drink cannot be cheaper than $1.30. Products that will see a price increase will be cheap, high alcohol content cask, bottled, and fortified wine. In order to ensure bottle shops don’t increase the vast majority products that already meet the floor price, we have informed consumer affairs to keep a close watch on price changes as this initiative rolls out. The majority of Territorians enjoy a drink responsibly, but there are many in the Territory whose abuse of alcohol is hurting our community, it’s hurting our businesses and it’s destroying individuals and families. With the introduction of Minimum Unit Price (MUP) in the Northern Territory, the People’s Alcohol Action Coalition (paac) and the Foundation for Alcohol Research and Education (FARE) say the Gunner Government is to be congratulated for putting the evidence first, and in turn prioritising the health, welfare and safety of the people of the NT. The successful introduction of a floor price on alcohol in the NT now opens the door to its introduction across Australia, and should positively impact the development of the Commonwealth Government’s draft National Alcohol Strategy. FARE Chief Executive Michael Thorn stresses the legislation will provide universal benefits to all Territorians, and is another important step towards tackling the NT’s severe alcohol problems. “A floor price is a win for the people of the NT. World-high rates of drinking are finally being addressed with a world-leading alcohol policy intervention; an evidence-based solution that will have no impact on light and moderate drinkers, but will lead to decreased alcohol consumption among the Top End’s heaviest drinkers,” Mr Thorn said. Mr Thorn said it was important to remember that the MUP was just one part of a comprehensive package of evidence-based reforms that would prioritise health and welfare throughout the Territory, and commended the Gunner Government on its resolve to tackle the Territory’s long-standing problems with heavy drinking. Dr Boffa says that in 2006, the Alice Springs Liquor supply plan effectively doubled the minimum unit price by forcing products from the market, achieving a near 20 per cent reduction in alcohol consumption in the town and a significant cut in harm, including about 120 fewer hospital admissions per year for Aboriginal women for assault. “We know that increasing the price works and it is very likely that the MUP combined with the other measures being implemented by the NT government will see drinking levels in the NT drop below the national average, which will be a great outcome for the people of the Northern Territory,” he concluded. The WHO Global status report on alcohol and health 2018 released last week, highlighted the gap between drinking rates in the Territory and the rest of the world, with the NT’s average per capita alcohol consumption almost double the world average of 6.4 litres of pure alcohol. “Our aspiration should be to halve the Territory’s alcohol consumption levels and to knock the Territory off the world leader board for most dangerous drinking jurisdiction. In doing so, we will reduce the alcohol burden that weighs so heavily on communities throughout the Top End,” Mr Thorn said. Mr Thorn stresses that there are also significant national implications. “In the absence of a willingness at the Commonwealth level to address the availability of cheap alcohol through meaningful taxation reform, it is up to the States and Territories to follow the lead of the NT,” Mr Thorn said.